The majority of the work is completed and sidewalk access has been restored. The final delay is the result of striking longshoreman in California refusing to unload a cargo ship that contains the tile needed to finish the project. Unfortunately this is out of the control of the city or the construction company so we are waiting. Please make a point to support the businesses along the plaza. 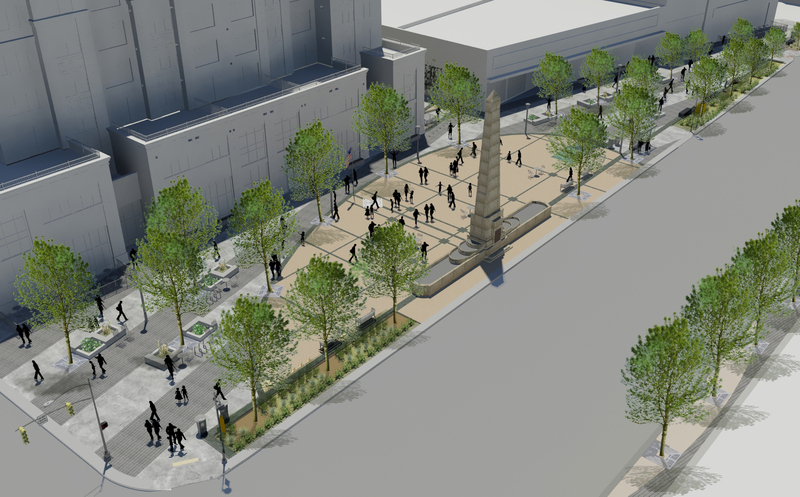 The SLC Redevelopment Agency is overseeing all work on monument plaza. They will be producing regular newsletters to keep everyone up to date on expected impacts. Check out weekly construction updates and help support the businesses along 2100 South during this time.